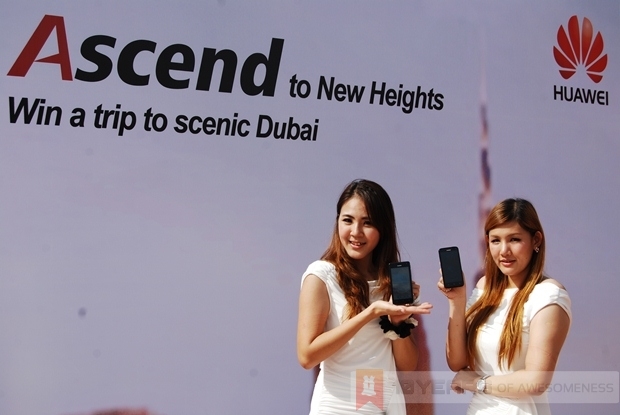 Last weekend, Huawei kicked off its “Ascend to New Heights” campaign, which is also being held in 45 countries worldwide to create awareness on the Chinese company’s smartphone brand. 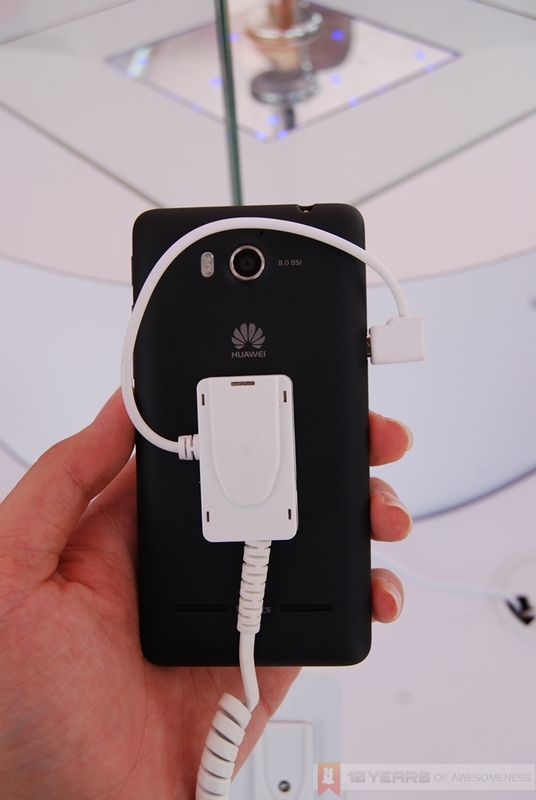 Huawei’s smartphone in Malaysia began in September with the launch of the competitive mid-range Ascend P1. Now, it will be joined by three more smartphones: the Ascend G330, Ascend G600 and the flagship Ascend D1 Quad. 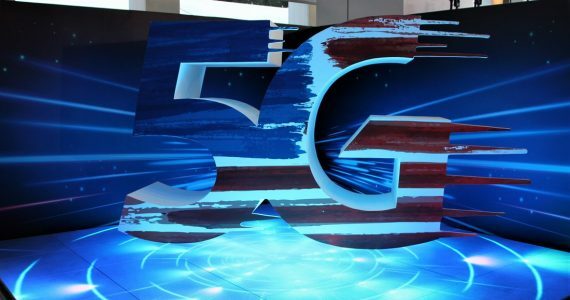 Head on after the break for more on Huawei’s campaign and its lucrative prizes, as well as a glimpse of the three new devices that are so competitively priced, they offer very good value for money. 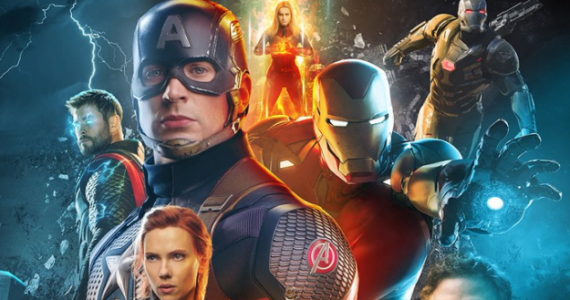 Huawei is on a mission. 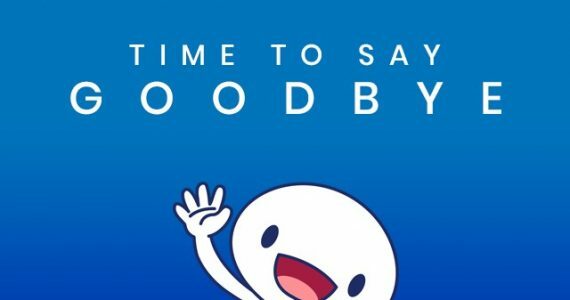 We saw it back in September with the launch of the Ascend P1 smartphone, a sub-RM1000 phone with specs that rival those which cost several hundred more. In fact, it is aiming for greater brand awareness globally with the “Ascend to New Heights” campaign. According to the regional marketing director for Huawei Device (Southern Pacific Region), Tang Siew Wai, Huawei is holding this campaign, which runs until 31 December, across 45 countries to create greater awareness of the Huawei brand among smartphone consumers. 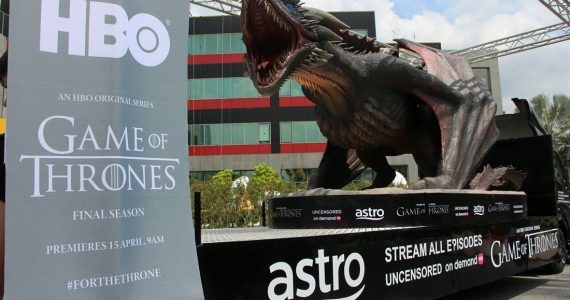 To entice greater interest, the company is also hosting a bunch of activities both on the ground and online with really attractive prizes, with the grand prize being an all-expense paid trip for two to Dubai. 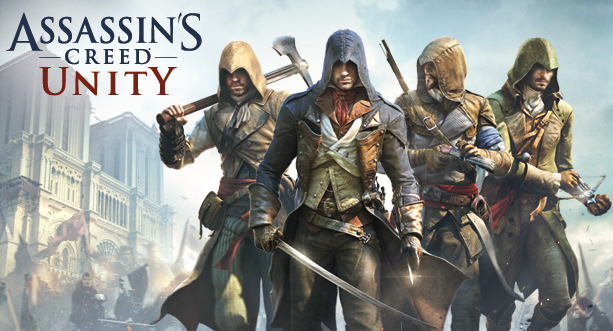 In all, there are over 2000 prizes to be won during this campaign. 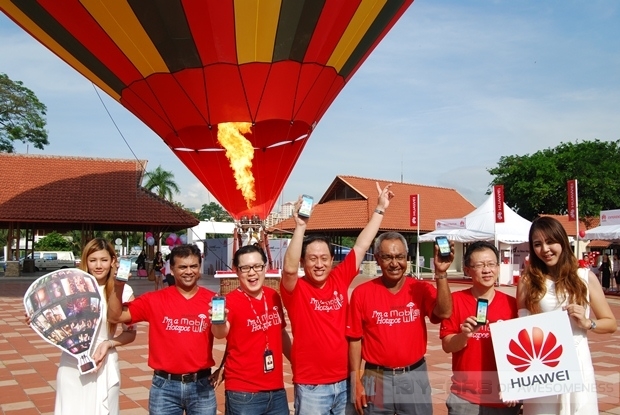 For the Malaysian leg, Huawei held its on-the-ground activities in Taman Tasik Titiwangsa, with activities such as hot air balloon rides and jumpshot photography challenges. 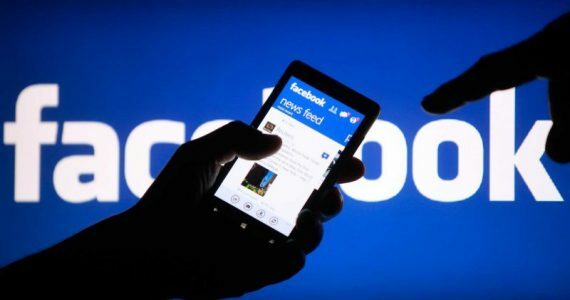 The campaign now continues online until the end of the year, where participants need to earn points by engaging in social media activities on Facebook. 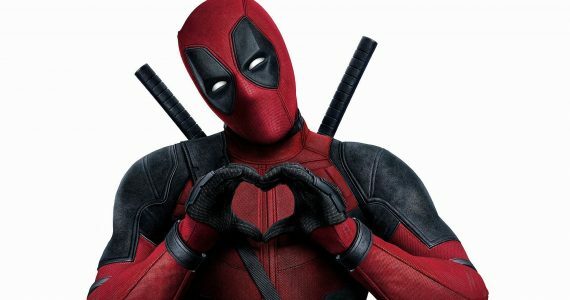 The one with the highest points at the end of the campaign will win the trip to Dubai, while there are other prizes such as Huawei smartphones, Huawei devices and other merchandise waiting for the other winners. 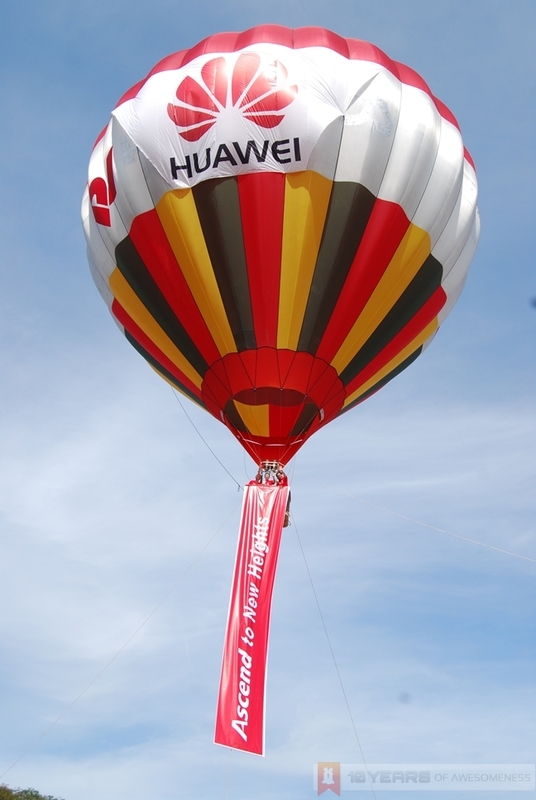 Of course, Huawei isn’t just here to literally blow hot air. The company has further expanded its smartphone presence in the country with the launch and release of three new smartphones: the flagship Ascend D1 Quad, mid-range Ascend G600 and Ascend G330 smartphones. Touted as having the most compact design among 4.5-inch smartphones, the Ascend D1 Quad runs on Huawei’s in-house 1.4GHz quad-core K3V2 processor with 1GB of RAM. 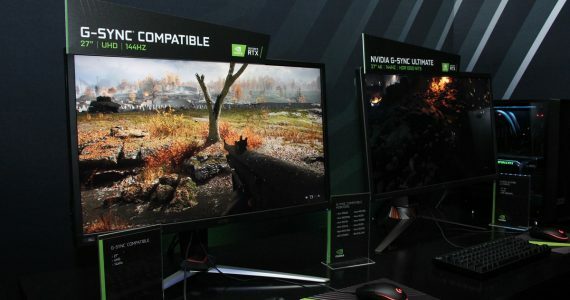 The IPS display is made by Toshiba, and has a 1280 x 720 HD resolution. The D1 Quad is also complemented with dual microphones with Audience earSmart Voice Processor, as well as Dolby 5.1 Surround Sound with Dolby Mobile 3.0 Plus. At the back, there is an 8MP backside illuminated (BSI) camera capable of recording in Full HD, while in front there is a 1.3MP camera with 720p recording capabilities. 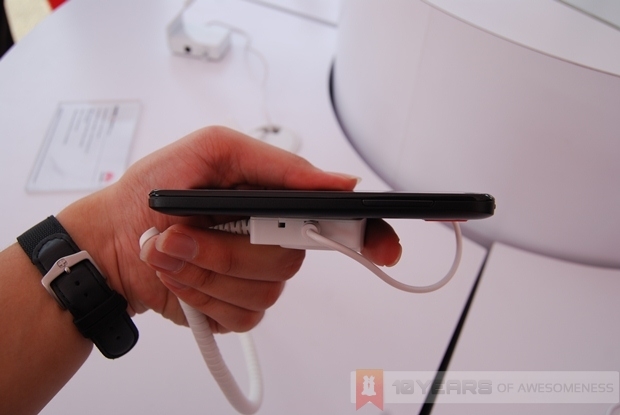 Also, the D1 Quad has 8GB of internal memory, and a microSD card slot that supports up to 32GB. Finally, there is a non-removable 1800mAh battery with Huawei’s proprietary power management technology which boosts battery life. The 130g Ascend D1 Quad has a thickness of 8.9mm, and is available in Carbon Black and Ceramic White at a price of RM1239. 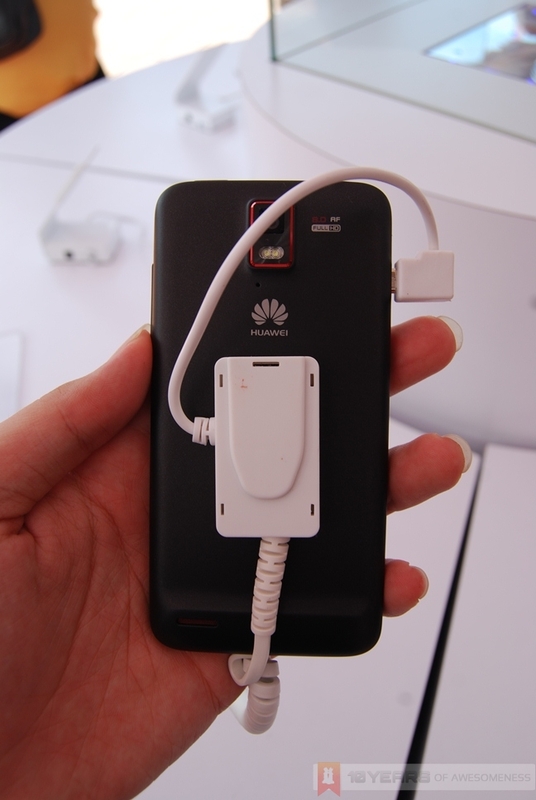 Besides that, Huawei’s latest mid-range entry is pretty interesting. The Ascend G600 also has a 4.5-inch screen, albeit with a lower 960 x 540 resolution with Gorilla Glass. 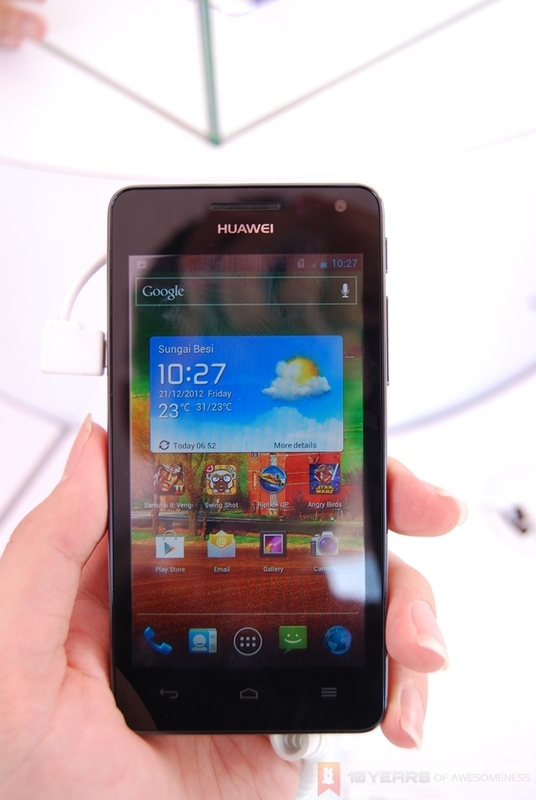 It is powered by a 1.2GHz Snapdragon S4 dual-core processor paired with 768MB of RAM. 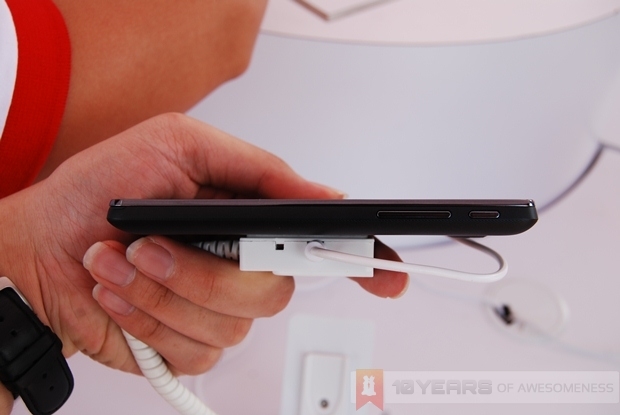 There is also an 8MP BSI rear camera, but it’s only capable of recording at 480p. At the front, there’s a 1.3MP camera. Also, there are two speakers at the back with DTS surround sound technology, in addition to the dual microphone array. It also supports DLNA and Wi-Fi Direct, and has a larger 1950mAh Lithium polymer battery with Huawei’s power saving technology. 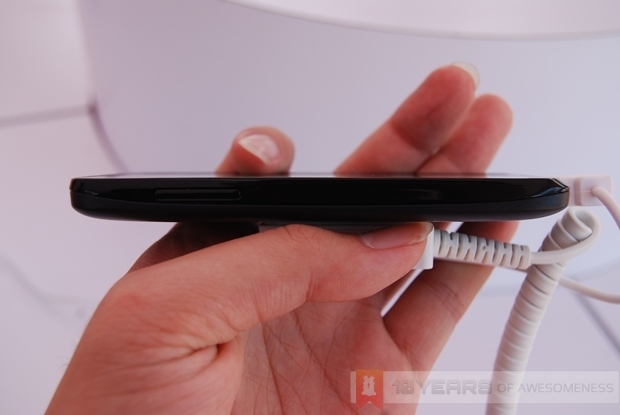 Inside, there is 4GB of internal storage with a microSD card slot that supports up to 32GB. 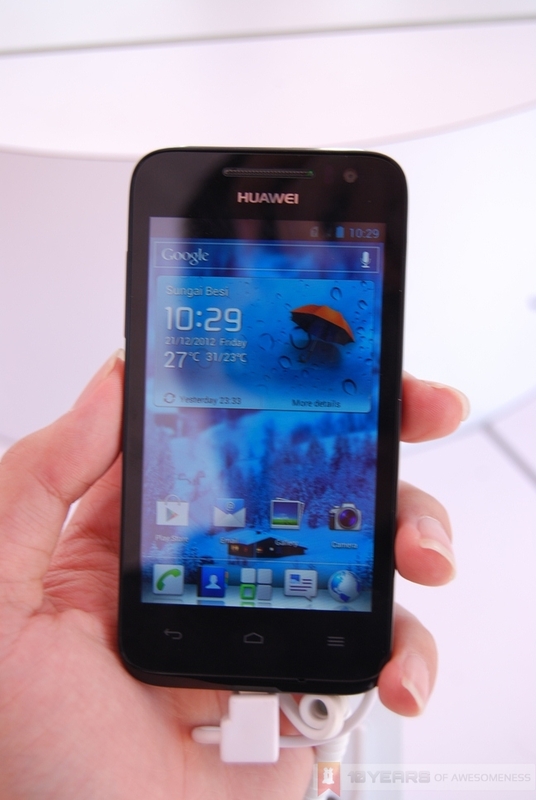 The Ascend G600 will be available in Black and White at a price of RM799. 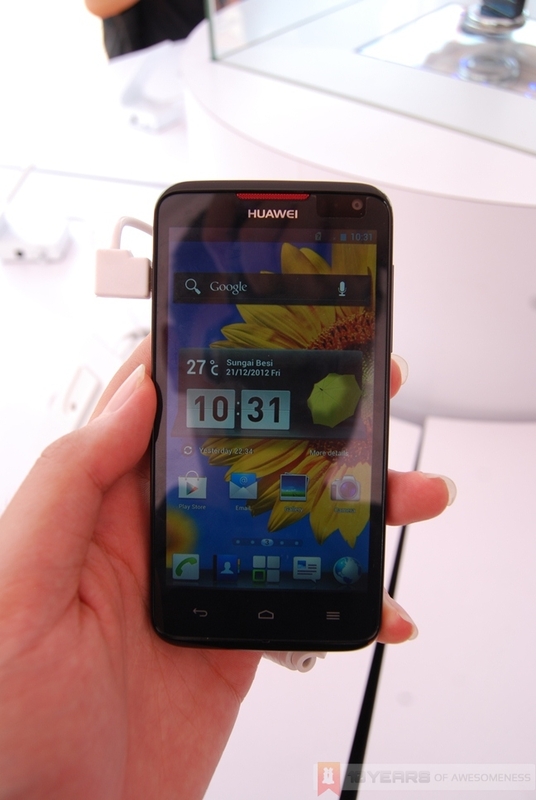 Finally, there is Huawei’s entry-level Ascend G330, which has a 4-inch, 480 x 800 TFT touch screen with Gorilla Glass. It is powered by a dual-core 1GHz MSM8225 Snapdragon S4 processor with 512MB of RAM, and has 4GB of internal storage but does not have a microSD card slot. 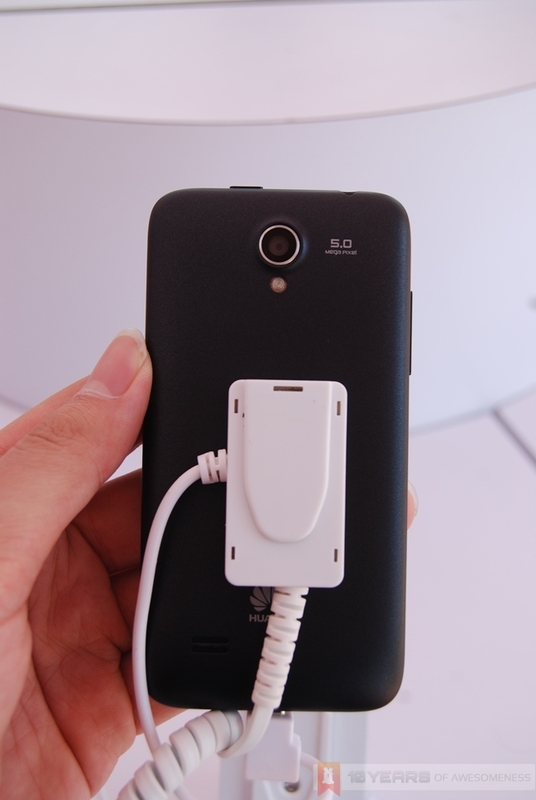 The G330 also has a 5MP BSI camera at the back that is capable of 1080p video recording, while in front there is a 1.3MP camera that can record at 720p. Like the G600 and D1 Quad, the G330 also have dual microphones for noise reduction, as well as support for DLNA and MHL-HDMI connections. The Ascend G330 is only available in Matte Black and will retail for RM599. All three smartphones run on Android 4.0 Ice Cream Sandwich, and are available now at all authorized retailers nationwide. For more information on Huawei’s latest smartphones, visit their official website here. To join the campaign and stand a chance to win a trip to Dubai and other Huawei devices, head on to its contest page here.